University of Arkansas at Little Rock’s Gary Hogan Field in Little Rock, AR. The Matrix® Turf Baseball/Softball playing surface maximizes ball roll and bounce, while minimizing bad hops, creating an overall consistent baseball and softball field turf surface. The baseball and softball field artificial grass has been tested and developed specifically for baseball and softball athletes to create an easier sliding surface, while still closely resembling the playability of a natural grass playing field. The shorter pile height of the Matrix Baseball/Softball turf adds high levels of durability, specifically necessary in levels of high traffic. If replacements to the baseball field turf are necessary, areas such as the batters box are easily replaceable, which extends the life of the turf field and makes Matrix Baseball/Softball field turf from Hellas the best financial decision. In addition to predictable playability and surface, synthetic turf also allows a lower level of downtime, due to inclement weather. 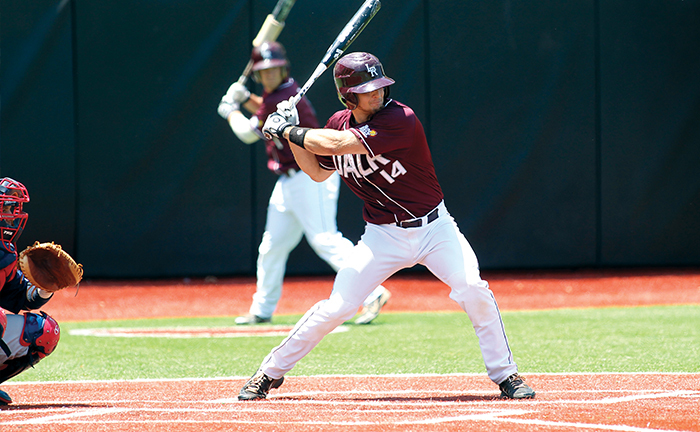 Matrix Baseball/Softball is installed without dirt or clay, which allows athletes to play on the field – rain or shine. The Helix feature for Matrix Baseball/Softball Turf is a new technology that is added to the fibers during the extrusion process. The Matrix with Helix turf is visually pleasing, while reducing fly-out and increasing the fibers durability and resiliency. Click here to find more information on Matrix Turf with Helix technology. 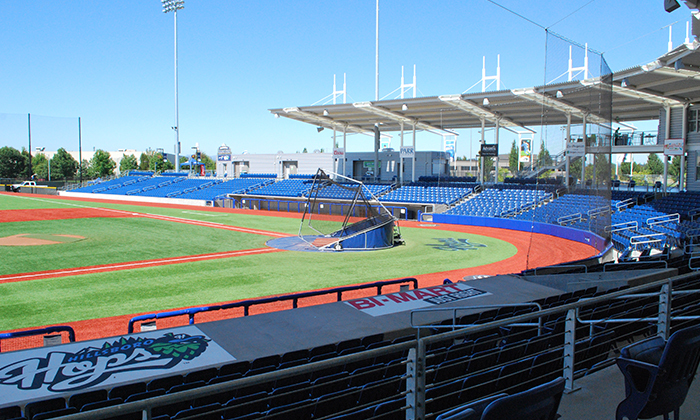 Hillsboro Hops’ Ron Tonkin Field in Hillsboro, OR. 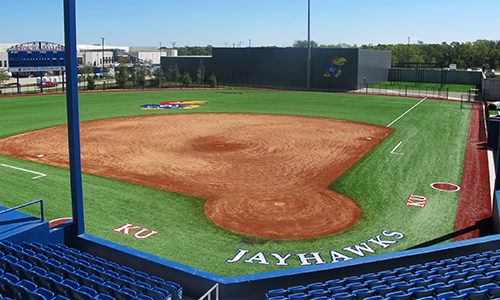 Kansas University’s Arrocha Ballpark at Rock Chalk Park in Lawrence, KS.